Each set may be used as a handy, bound report cover. Made of nonstick, acid-free, archival-safe material. 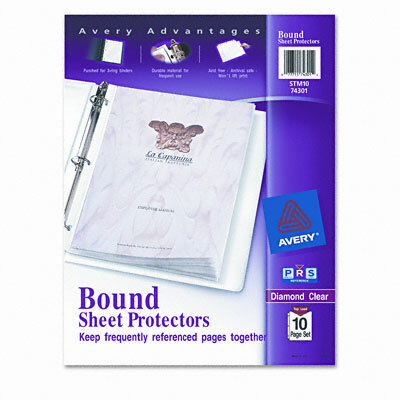 Convenient heavyweight sheet protector sets keep your material together and in order. No need to punch inserts; each set may be used as a handy, bound report cover. Made of nonstick, acid-free, archival-safe material that won't lift print off inserted pages.